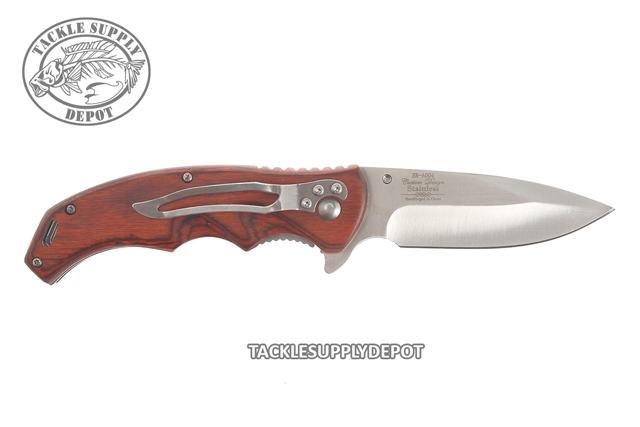 The ER-A004 Ballistic series spring assisted open folding knife from Elk Ridge offers easy one handed deployment. Once open, the blade locks securely into place with the use of its liner lock. 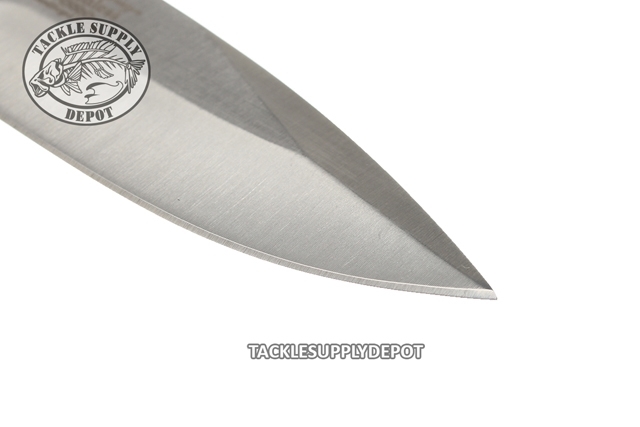 The ER-A004 knife features a 3.5-inch, 3.2mm thick silver drop point stainless steel blade and comes complete with a pocket clip for easy and safe carry. Measures 4.75 inches closed for easy storage whether in a pocket or bag compartment. Featuring a Pakkawood handle for comfort and unique look. Pakkawood is a combination of hard wood layers and resins fused together under intense heat and pressure. Multiple layers are combined to create very unique grain finish plywood which is inert, stronger than normal wood, more moisture resistant and will not warp. This in turn will last longer and overall look better, maintaining a long lasting natural high gloss finish which makes products using such material typically highly sought for gift ideas and collectables. 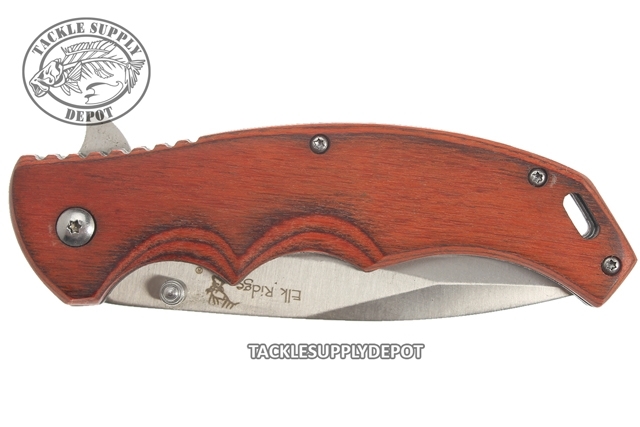 Additionally due to the process each Pakkawood model is never quite the same as the next, with each layer providing a different layer of colors and grain patterns. Pakkawood is also known as Staminawood, Colorwood, Dymondwood and compreg. 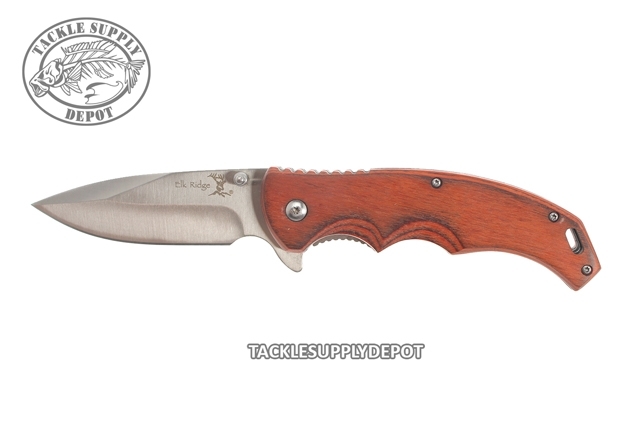 Designed for true outdoors adventurers, Elk Ridge offers a wide variety of hunting knives, skinners, game sets, machetes, axes, and even gentleman's knives.